The largest part of the cow stomach is the rumen and the reticulum, which are basically one compartment, but differ in surface texture. The rumen is lined with short, fur-like papillae, which give it a velvety surface, and slightly larger projections in the shape of rice grains. 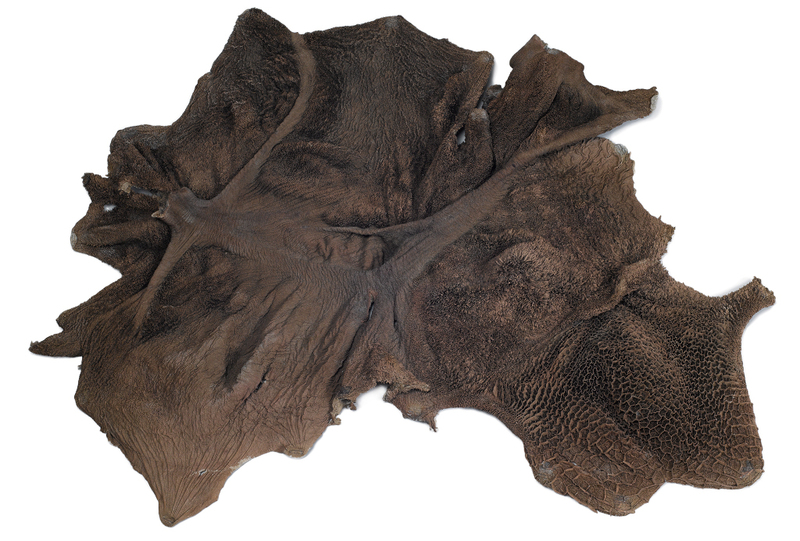 As a final product, cattle stomach leather shares a lot of qualities with conventional hide leather; it has great tensile strength, it is flexible and has a high resistance to tear and puncture. In the reticulum, the papillae gradually merge into tiny folds which form its characteristic honeycomb netting with a hexagonal pattern. Both the rumen and reticulum are brown after preservation.